I’ve download iso image, burn in into my flash using Unetbootin, a then simply boot computer using this flash. 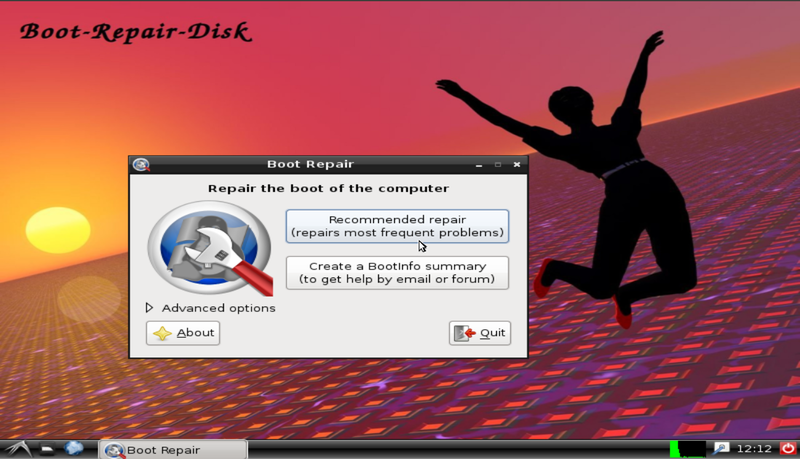 After boot process appear new window called “Boot Repair”. In that window to fix “alloc magic is broken” i click on button named “Recommended repair”.